The core of all good tree surgeons is the ability to climb to the top. 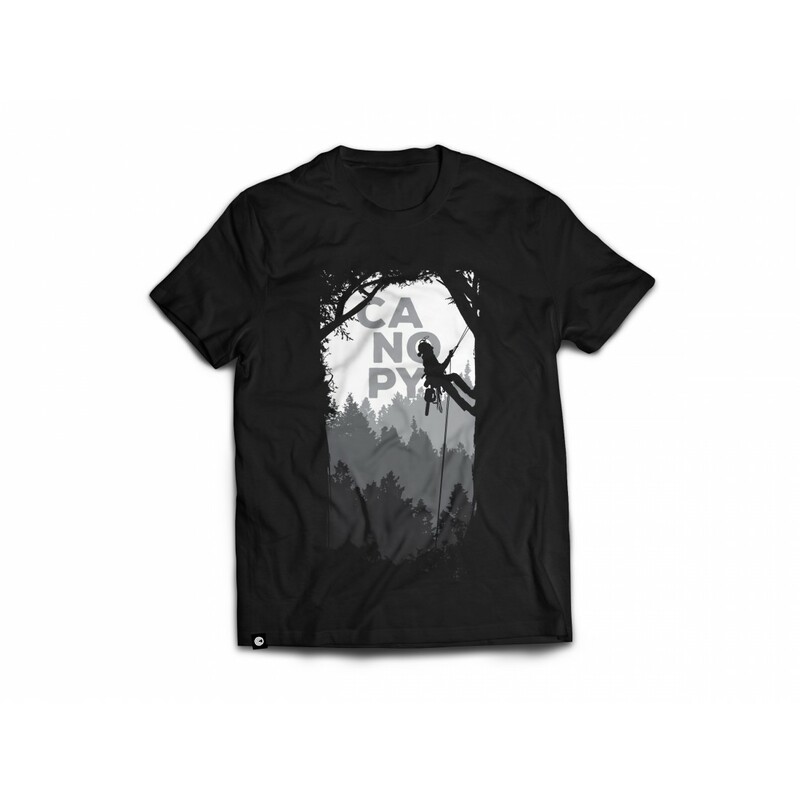 This ‘Ascen-tee’ T-shirt is just that, an ascent to the canopy above. It features a black and white silhouetted design of an arborist ascending a great height, with a dense forest in the background. Canopy clothing is for the outdoor enthusiast. If you spend more time with a chainsaw in hand or with your feet off the ground then Canopy is for you.